Each year we receive a Graduation Offering during our commencement service. This special offering goes specifically toward campus improvements. 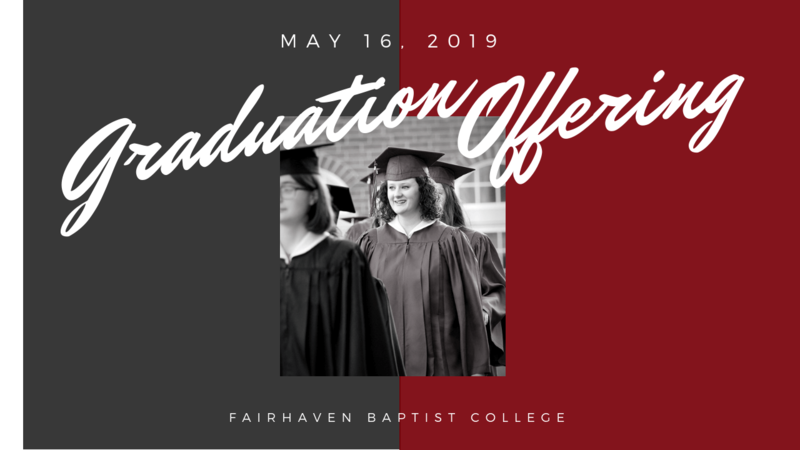 Fairhaven Baptist College has had a part in the lives of hundreds of men and women who now serve in big cities, suburban areas, rural churches, and numerous foreign countries. They serve as pastors, assistants, teachers, missionaries, and laymen. 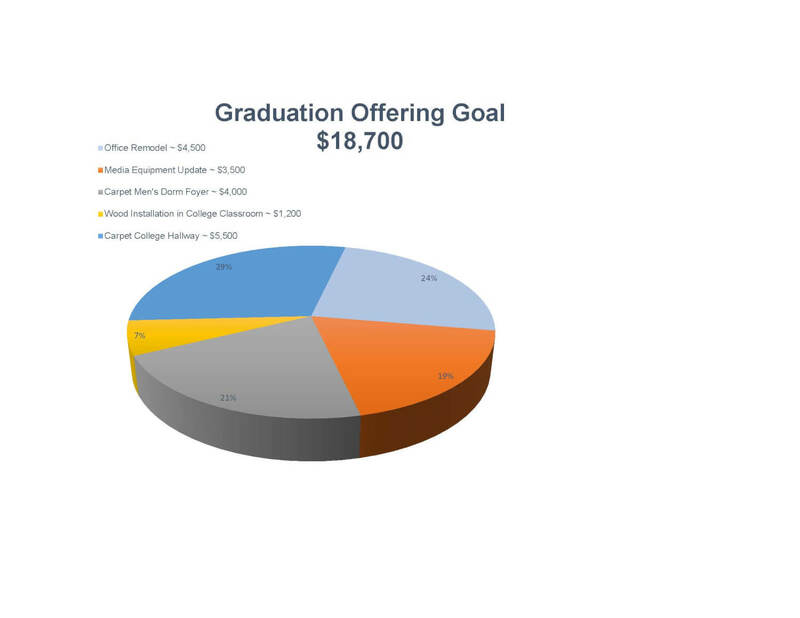 Will you consider helping us continue to train young people by contributing to our Graduation Offering?